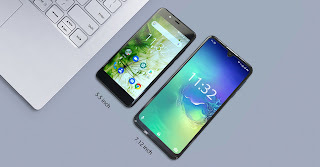 At the beginning of April, OUKITEL leaked that they are releasing a new smartphone K9 with super large display, large battery and thrilling performance. 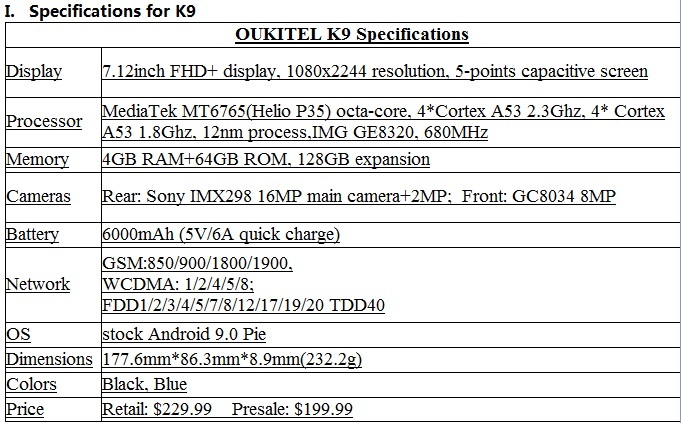 Now OUKITEL has confirmed all the information for this new model. K9 features the largest 7.12 inch display, powered by 6000mAh battery with new 5V/6A flash charge and carries Helio P35 octa-core soc. 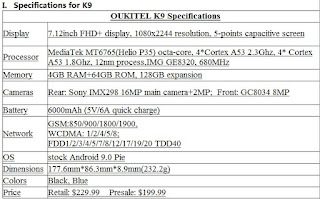 As a new upgrading version for 6000mAh battery smartphones in K series, OUKITEL K9 updated a lot in many aspects. It enlarges the usable display to be the largest 7.12 inch FHD+ display to offer larger visual effect. 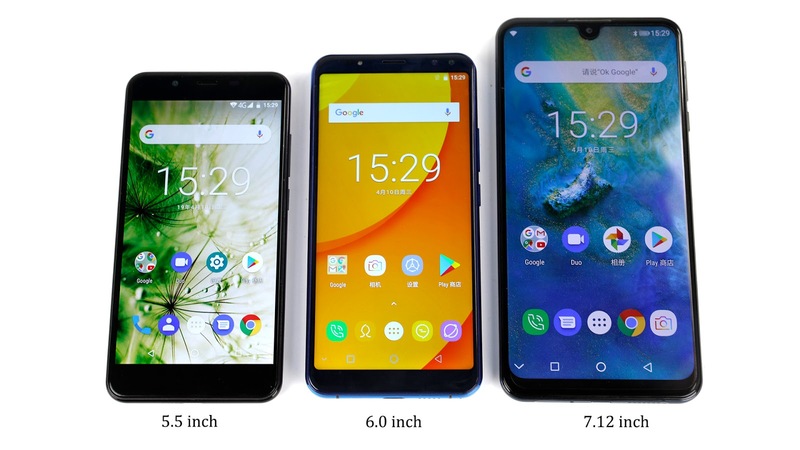 With the same 6000mAh battery, the thickness of previous 6000mAh battery smartphones like K6000 Plus, K6 are all above 10mm, but K9 has been squeezed to just 8.9mm. It also packs a new standard 5V/6A quick charger to fully charge the 6000mAh battery in just 1.5 hours. K9 carries the latest MediaTek MT6765(Helio P35) Soc which is processed at 12nm tech, not only largely improved the performance of K9, but also prolonged the battery life of the 6000mAh battery. The first impression of K9 is big, big screen and large screen-to-body ratio. It is definitely the largest display smartphone around $200 price range. K9 will have Jet black and Sapphire blue two colors. It combines waterdrop display, highlighted frame and glossy PC composite board material in design. The frame and bottom chin are quite narrow to give a larger 84.6% screen-to-body ratio. The dual-lens rear camera lies on middle top of the back and press fingerprint sensor is located below the camera. Due to the 18:9 aspect ratio design, K9 can be held by one hand, but needs two hands to handle daily tasks. As the largest display smartphone, you may not be able to imagine the astonishing visual effect. But when you compare it to 5.5 inch display and 6 inch smartphones, you will see the difference. 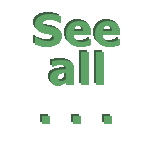 No matter for browsing, videos, games or GPS navigation, K9 offers good big display visual experience. OUKITEL K9 has got a 7.12 inch super large display, with a larger body, it is able to hold a large battery capacity but thinner thickness. With a 6000mAh battery as basis, the standby time is ensured. But without a good intelligent power management system, it will be drained at a high speed. 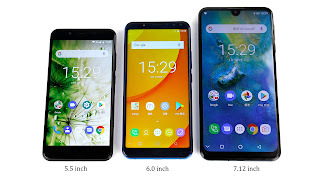 OUKITEL K9 carries a efficient Helio P35 Soc processed at 12nm tech and Android 9.0 Pie adaptive battery, largely reduce the power consumption rate to prolong up to 20% using time than 28nm processed MT6750T chipset smartphones. OUKITEL Lab compared the power consumption rate with iPhone 7 Plus. After 1 hour video playing at largest volume and brightest screen, OUKITEL K9 still has 94% power left, which means it consumed 6000*6%=360mAh battery. While iPhone 7 Plus has 68% power left, totally consumed 2910*32%=931.2mAh battery. Obviously, K9 is more power efficient besides large battery. If the 12nm processed Helio P35 Soc and Android 9 Pie are reducing the output of battery, then the 5V/6A quick charger is for high speed input of power. 5V/6A is the fastest charger so far. With the 5V/6A quick charger, in1 hour, K9 can be charged to 80% power, and the 6000mAh battery will be fully charged within 1.5 hours. While by a 9V/2A charger, it normally takes 2.5 hours to fully charge a 6000mAh battery smartphone. 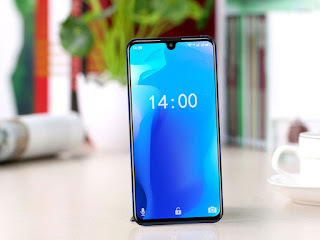 In hardware, OUKITEL K9 sports MediaTek Helio P35 Soc, 4GB RAM and 64GB ROM, 8MP front camera, Sony IMX298 16MP +2MP auxiliary camera for rear camera. Helio P35 is manufactured by 12nm process, with up to 2.3Ghz CPU and 680MHz GPU. When the previous 28nm processed chipsets like MediaTek MT6750T runs a score above 55,000, K9 with new tech processed chipset gets more than 85,000 Antutu score. With 4GB RAM, it has no pressure to run multi-tasks and games.